Even Robson Green never landed such a remarkable catch. Instead of waiting hours for a bite, these Chinese anglers have the fish jumping into their hands. 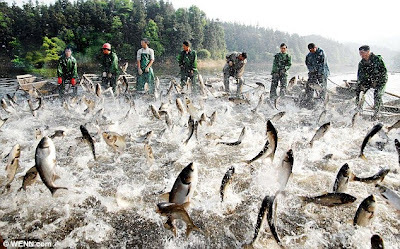 Fishermen fishing the Xiannv Lake, Xinyu, Jiangxi province, eastern China, have brought a whole new meaning to catching a fish.